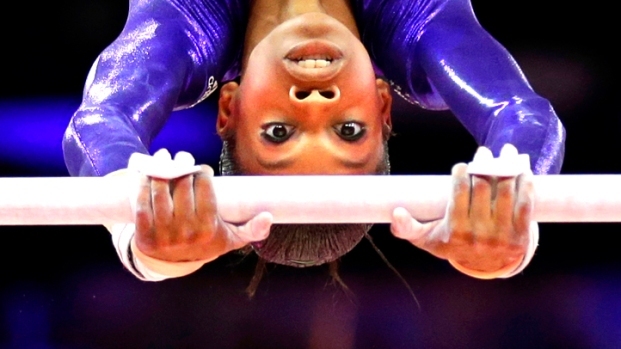 Voters choose their favorite wins and events from NBC Olympic broadcasts. 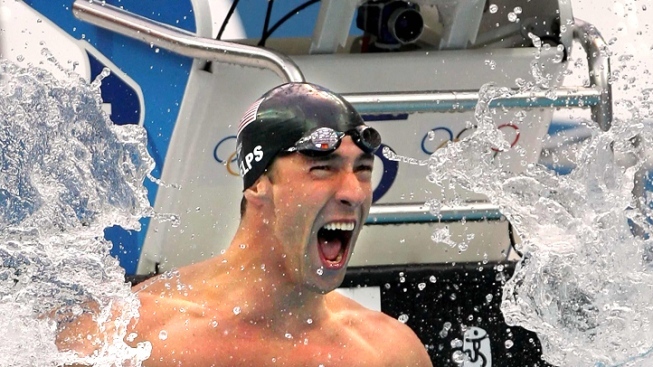 U.S. Olympian Michael Phelps celebrates winning the 100m butterfly." Phelps winning the 100m butterfly in 2004. Muhammad Ali lighting the flame in 1996. Jackie Joyner-Kersee crossing the finish line in 1992 to become the first heptathlon repeat winner in Olympic history. Golden events etched in fan's memories forever. Those, and other heart stopping instants will be celebrated in "30 Greatest NBC Olympic Moments," a fan-voted hour-long television special hosted by Bob Costas that's set to air Saturday evening. "They really are incredible sporting experiences," said Mark Levy, vice president and creative director of NBC Sports and Olympics who has worked on NBC's Olympic broadcasts since the Sydney games in 2000. Levy has been in London for the past two weeks preparing for next week's games and filming with Costas against a backdrop of famous London landmarks and new Olympic venues for Saturday's show. So how did the 30 moments get chosen from the thousands in existence? "A group of researchers and feature producers within NBC's Olympic division looked at all the games since 1988 when they began to broadcast," explains Levy. "They came up with many more than 30 and then whittled it down to moments that they thought were deserving of a vote." Those 30 clips were then posted on NBC's Olympic website 100 days out from the opening ceremony, allowing fans an opportunity to view and then select their favorite moments. Like any good sporting event there was no clear indication of what would take the number one spot until late in the game, according to Levy. "As the balloting and the voting came in it went back and forth in regards to which was going to be number one over a group of about three or four. But as the voting period came to an end one kind of broke away from the pack." Though Levy wouldn't reveal what moment ranks highest with fans, he happily declared his number one pick out of the 30: Australian Kathy Freeman winning the 400m track race in 2000. "This is my eighth Olympic Games and I always work out of the broadcast center," says Levy who has covered World Series Championships, Superbowls and NBA finals during his broadcast career. "I've only been outside the center to see three events over the past seven games and this was one of them. To stand inside Stadium Australia to watch Freeman run in front of 100,000 people and win was one of the greatest experiences I have had in sport. It was by far the greatest sports moment I have ever seen." For the record, Freeman's win is not number one on the list. Other moments that will be counted down Saturday include the U.S. women's soccer team winning their first gold in 1996, Paul Hamm becoming the first American man to win the all-around gymnastic title, the 2008 opening ceremony in Beijing and the dream team winning basketball gold in 1992. Levy says he was not surprised by the voters' choice for the number one spot, but admits viewers are in a for a few surprises. "I don't want to give it away ahead of the show, but I was very surprised by a moment that ended up in the top ten. I thought it was a great moment but I didn't think that the fans would have remembered it or got behind it quite the way they did." "30 Greatest NBC Olympic Moments" airs at 8 p.m. Saturday, July 21.